Meeting place was at the BIG BOWL at the Marina Bay Sands. 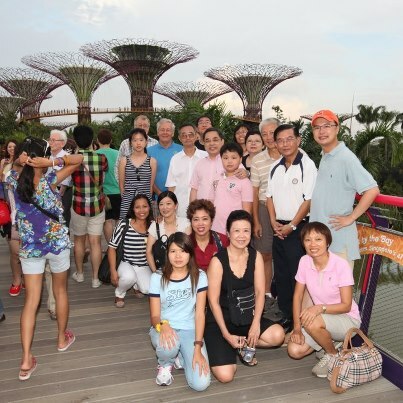 In great anticipation of new botanical discoveries, everyone walked towards the South Garden to the Super Tree and OCBC Sky Bridge, all the way to the Marina Barrage, turn around back to the Bay South Garden and Cloud Forest and Flower Dome. The finale was a spectacular light show at the Marina Bay Sands next to the LV boutique facing The Fullerton Hotel. 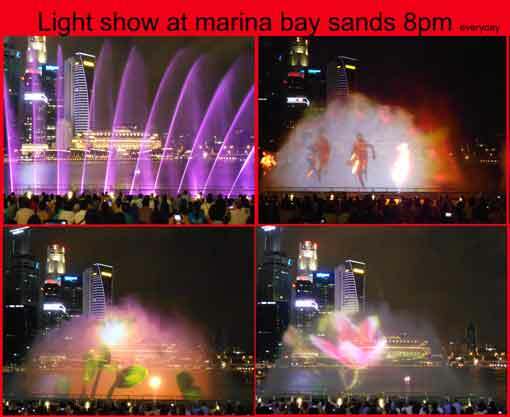 There are two light shows every evening at 8pm and 9.30pm. Free of Charge.